There's been a little discussion over on the flickr AlphaSmart forum about NaNoWriMo, and (as is often the case there) the topic has broadened into talking about other writing machines, and old computers we've had, and of course, I've butted in and talked up typewriters and the Typewriter Brigade. 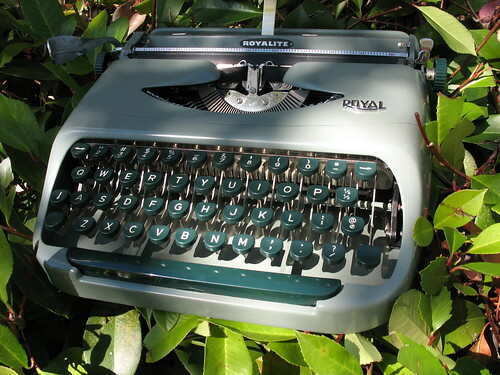 Regular readers will know that I spent quite a bit of time using my AlphaSmart Pro to retype last year's draft, originally written on a Royal KMG and a Smith-Corona Skyriter. 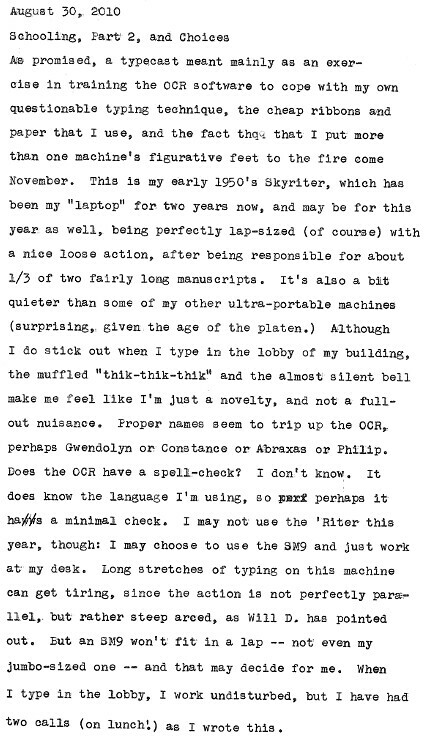 We talked about OCR software in the Brigade topic last year in the NaNo forums, and I did some experiments, as I have access to a sheet-feeding scanner on our office copier. 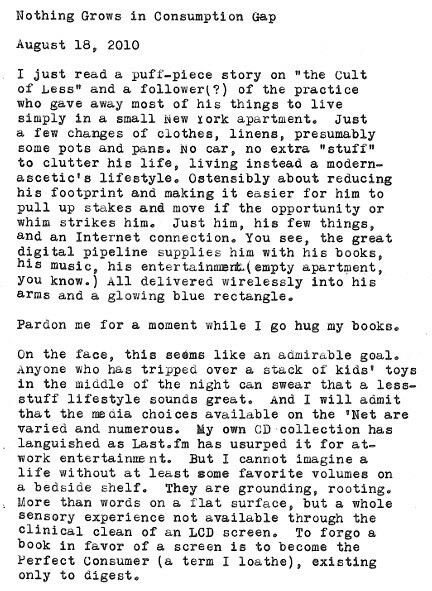 The best of the choices open to me appeared to be the Tesseract OCR engine which I installed somewhere in early November, ran it on scans of my pages thus far, and then quit when it spat out a bunch of text like "1112 98djhs do pifu hjegf"
So, I dug out the AlphaSmart and spent time retyping it with the goal of getting my proof printed before the deadline. (Just made it.) The AlphaSmart has strengths like super-portability and super-simplicity which are ideal for producing words, but I ultimately wanted to see more of the text at a time as I was rewriting or laying in my changes from the typed copy, something impossible to do in the 4x40 confines of the AlphaSmart window. And after typing all that stuff in, I'm burned out on the whole book in general right now. So, I'm thinking about looking back into OCR as an option for this year. Tesseract is a very no-frills OCR program, and lacks pretty interfaces and intuitive controls, but that's OK, since I am, at heart and by choice, a geek. I've been reading more about training Tesseract -- sending it to school, essentially -- and am thinking about writing up some sample pages on my main machines that I can use to refine its guesses. 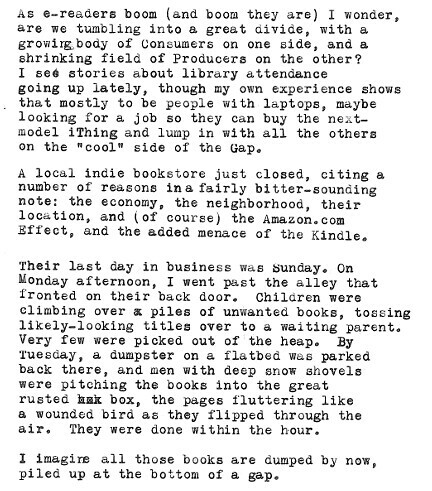 My own retyped copy has a number of transcription errors, beyond the usual first-draft grammar hangups and plot issues. If you see a typecast discussing a lazy dog, jumping foxes, and brown liquor jugs, know that school's in session. 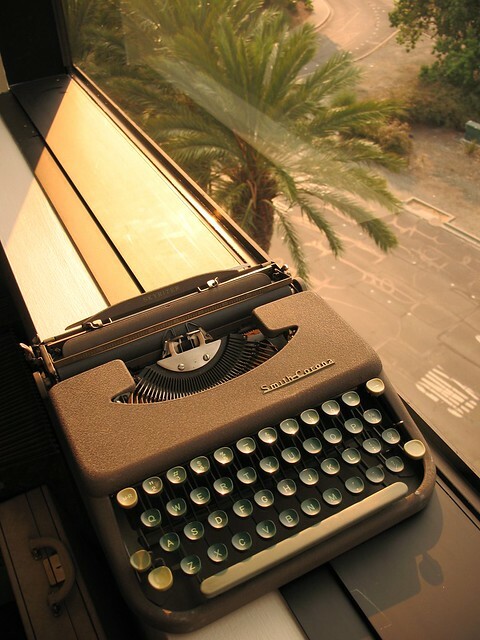 Yes, it's another super-minimal function travel typewriter, and it's darn cute, to boot. I got a complement from someone on it's handsome carrying case. ("That's a cool bag," he said, likely not knowing what was inside.) And even my wife thought it cute and surprisingly small, after I skulked back home with That Guilty Look on my face. My karmic balance has been righted, I say. Namaste. Of course, my real purpose was not to be parted from my green by buying something green. But intentions have a way of slipping through your fingers. I also didn't intend to bring home the 2008 copy of Writer's Market, and yet there it was, sitting in my other hand at checkout. I was clearly in a transcendental state and not fettered by rational thinking (as usual.) But my wife's been making noises about doing a little short-fiction writing of her own -- little hope of swaying her to typers, as of yet -- and who knows? Intentions are slippery things. It can't hurt to have a net ready in case one of them jumps in the boat. Charles? Charles? Anybody seen Charles? I'm still waiting to hear from the final winner of the paper drawing: Charles, you need to leave a comment over on the winning post so I can verify you and get your contact details. Otherwise I'm moving down the list. Winners 1-3 are confirmed and standing by. UPDATE: OK, Charles fell into a hole, so let's try Migraine Madness for the note paper. Migraine, if you're out there, post a comment from the same account so I can confirm you. File under: anablog, analog deathwatch, hermes baby, the future of reading, typecast, what's that writing on the wall say? Please post a message to this comment with your email address within. I will keep the contents a secret. You must post from the same account that you used for your original comment, so I can verify that you're the same person as the original poster. Please get in touch with me right away so we can sort out shipment. Do not anger the random chicken. A couple of weeks back I spotted a plastic box of pen nibs sitting in the "hands off" case at the thrift store. I wasn't able to get a close look, but the price was right, so I snatched 'em up, thinking there would be something I could do with them. Turns out they're all nibs for dip pens, essentially a step up from a quill pen, and can be used with ink that would hopelessly clog (read: ruin) the fine ink feed mechanism of a fountain pen. Some of the nibs are the familiar Speedball sort that you can find in most craft places in a "drawing pen set", but others are Esterbrook or Gillott's, or some other brands that are hard to read without a magnifier. Interestingly, many of them are magnetic, though by design or accident I can't say. Few appear to have ever been used. 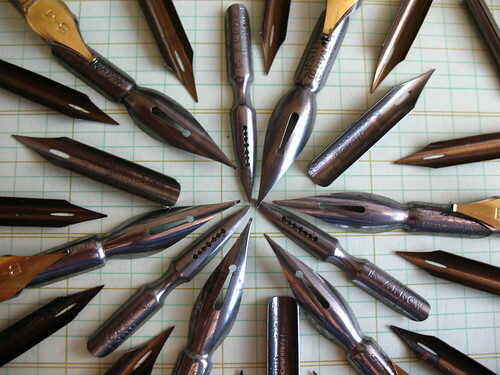 There are numerous duplicates: nearly two sets of the Speedball, for example, and two or three of the same type of nib. I don't really have a use for them, and yet... I can't quite give them up. I'd like to find a purpose for these: maybe try my hand at making a basic holder out of dowel rods, or play with ink recipes with the kids, or something like that. What would you do? Update: as usual, impatience got the best of me. The craft store was a bust for just plain old holders, unless I wanted more nibs and a tiny bottle of ink to go with it (I didn't.) I scrounged around for a while, looking for a substitute, and considered buying a couple of paintbrushes to behead, but settled on a small package of craft corks. I used the "leather awl" tool on my pocketknife to dig out a little hole in the middle of the narrow end and slipped a nib inside. 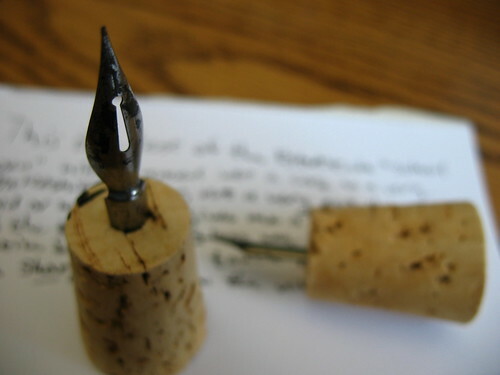 It's a little awkward to write with, but the wide flare of the cork gives me enough to hold onto for testing. I'm surprised at how much ink even the plainest nib holds: I was expecting to need to re-dip every word or two, but I can go for a sentence or more between dips. 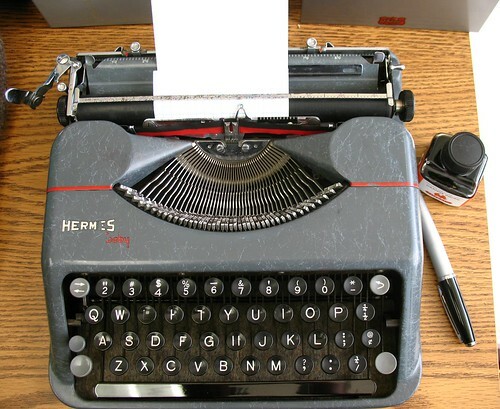 Now it's a matter of me getting used to the extra-light hand required to write with one of these. I'll keep my eyes open for old pen sets, or otherwise unencumbered nib holders, and I'll have to hit up the art supply store and see what they offer. Looks like the comments are slowly starting to trickle down, so I'll put a deadline on this thing. You have until Sunday August 15 to enter your comment on the giveaway topic. I will lock the topic to new comments at that point (publishing any that are still waiting) and then start the drawing/notification process. I'll announce winners in a new post. If this whole process goes to pot, then I may just get sulky and keep it all! So please be sure to check back here starting on Monday August 16 to see who won, and thus who should be the focus of your broken-email-juju. Edit: I've figured out a way for winners to get in touch with me after the drawing. I'll start a "winner's circle" post when the time comes, and have winners post there privately for verification. There's still time to enter! And don't forget to enter on the other blogs with giveaways, too: see Rhodia Drive for links. 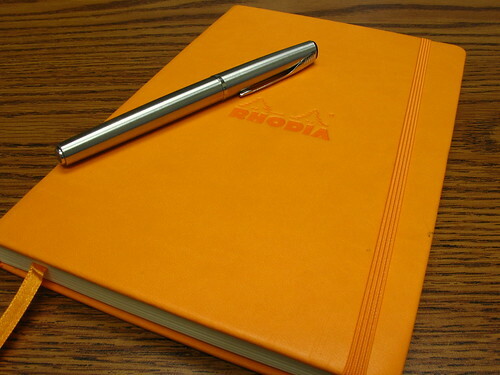 This is a long-winded way at getting at today's topic: a review of the Rhodia "Webbie" journal that was graciously arranged by Stephanie of the Rhodia Drive blog, and Karen Doherty of Exaclair, Rhodia's U.S. importer, and who I now envision as an orange-clad Santa Claus. Stephanie asked if I'd be willing to review a blank Webbie here, given that I've whined very publicly about the impossibility of laying hands on one at any of my local retailers. Here in the uncool 'burbs, we can only get hands-on time with Rhodia at Borders Books or Target. The latter focuses on their pad-style products, and the former neglects them almost entirely, in favor of their house-brand journals and a big Tower o' Moleskine. I'll come back to that. Pretty, isn't it? Like most of their products, the webbie comes with either a black or orange cover. I happen to like the orange, since it shows up best in the depths of my massively over-packed bag. 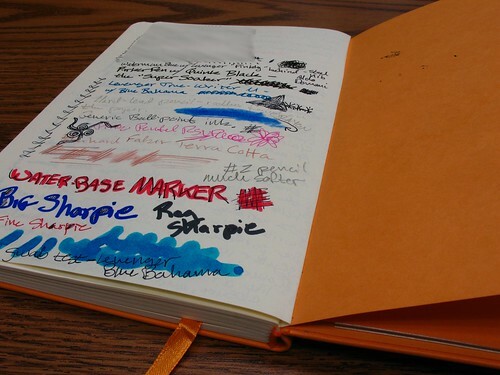 And the orange is a distinctive Rhodia color: those-in-the-know can spot a Rhodia user from across the room. You can't help it: these suckers are bright. Technical specs: the webbie comes in two sizes, A5 and A6 if you're keen on the ISO standard paper sizes, or "half page" and "quarter page" if you're not. This is an A5 size, dimensions are 5 1/2" x 8 1/4", and overall thickness of the notebook is about 5/8" closed, with the pocket empty. There are 192 pages inside, divided among six signatures sewn into the binding. The pages will lie flat with a little encouragement at first: work through the pages from both ends and run a finger along the spine to spread them out a bit. 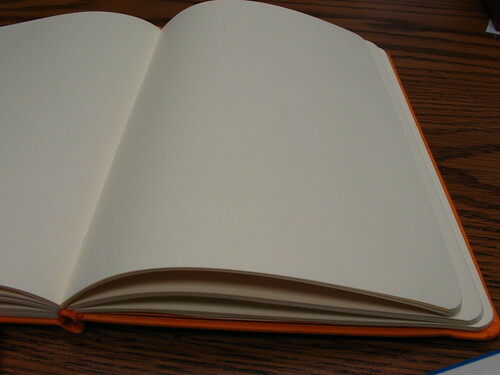 The binding is loose enough that you can write very far into the fold without problems. 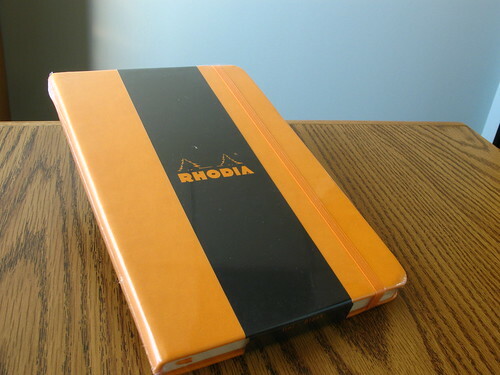 Rhodia appears to be positioning themselves against Moleskine here, as the webbie sports the same general features list: sewn signatures, attached ribbon bookmark, expanding pocket on the inside back cover, elastic closure. 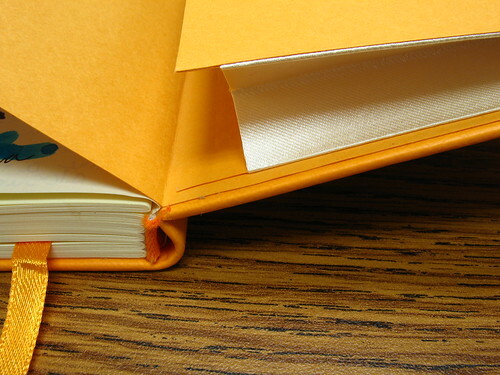 Unlike Moleskine and Rhodia's own line of pads, the covers of a webbie are a cushioned material around a stiff center. Their web site says this is "Italian leatherette," though to my hand it feels slightly rubbery: not unpleasantly so, just slightly squishy and padded. It's stiffer than the oilcloth cover of a Moleskine, and provides enough firmness that you can write without a surface behind it in a pinch. I tried writing on it while sitting in a variety of postures -- including sitting up in bed -- and it was comfortable to hold. Also unlike Moleskine, the webbie uses Clairefontaine paper, which is French-made by a gaggle of delicate cream-skinned maidens. I'm not quite sure about that last fact, but I do know that Clairefontaine paper is famed for its fountain-pen friendliness. It is wonderfully smooth paper, and takes ink without feathering or bleeding through to the opposite side, and with minimal show-through. The webbie product has undergone some revisions as the first production runs did not use a pen-friendly paper. Stephanie posted details about this, and I'm pleased to say that the revisions were worth it. The paper may appear white in these photos, but it is actually a light cream color. This might matter if you're an artist or artistically inclined and want a true white background. 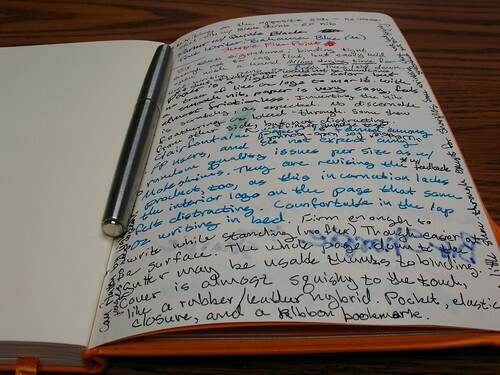 As a writing notebook, the color of the paper is fine. 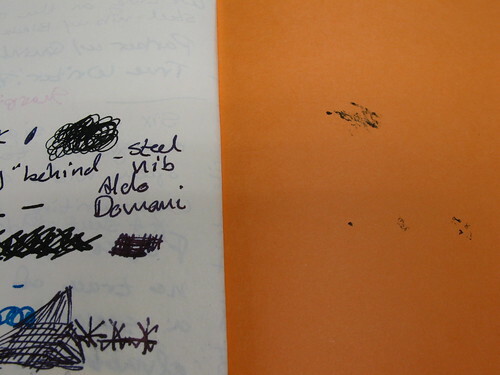 An extra-fine steel-nibbed pen inked with Parker Quink black. EF nibs can catch and snag on paper. A Parker Latitude fountain pen (the silver one pictured above), also inked with Quink. This has a particularly wet nib and is my firehose of ink. It makes note cards weep. A Levenger True-Writer inked with Levenger "Bahama Blue," which I am currently using on my brain-dump notebook for NaNoWriMo. 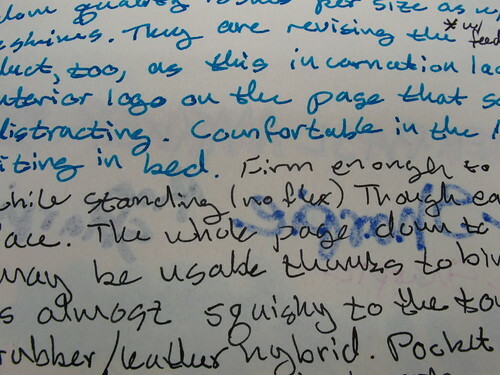 Levenger inks are pretty dye-heavy, and I can see bright colors showing through paper better than dark ones. Some "generic" writing instruments: a #2 pencil, a "hard"-lead pencil, a couple of ballpoints in different colors, a wax crayon, a magic marker and colored pencils from my daughter's art kit. Three Sharpie markers: the regular sized one ("fine" if you believe that), an extra-fine one, and a super-wide one, meant for yard sale signs and the like. I also hit the page with some soak-through tests: drawing dense crosshatches and scribbles in one place, going back over sections later with a pen, and using a cotton swab to paint a section of the page. The hard lead pencil is faint against the cream colored paper. I suspect the paper is too smooth to really give the lead enough friction. The #2 pencil shows up fine. The Sharpies soaked through, especially the super-wide one. The extra-fine one did bleed in spots, so if you like to use these for writing or drawing, you may require a heavier paper. The paper puckered slightly when it was particularly wet -- for the swab test, for instance -- but it smoothed out upon drying. I was bitten by drying time for some pens. There is a small amount of wait for ink to fully dry on the paper, and if you're the impatient type, eager to play with a new notebook (me, in other words), you'll find that some of the ink transfers to the adjacent page. You can see some ink spots on the orange end-paper in the photos. Some folks carry a couple of sheets of blotter paper in their journals to slip between fresh-written pages. It's something to consider if you're using a fountain pen. Otherwise, the Clairefontaine paper held up like a champ. 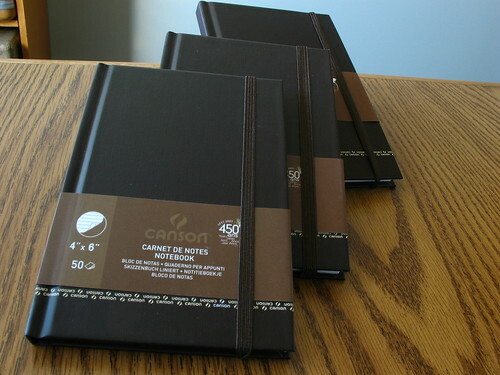 I've heard of paper issues with Moleskine notebooks, and never being one to stop a juicy rumor, I'll repeat it here. As I understand it, they have different suppliers for different size notebooks, and some pen aficionados are upset about this (rightfully, IMHO.) If you're going to drop your hard-earned on a snazzy notebook, you should be assured that it's not going to feather all over the place. The performance of the paper in the webbie is on par with the performance of the Rhodia pads, of which I'm a vocal fan. And availability online is quite good, even if your local options are limited. Entries are closed, I'll post winners in a new topic. 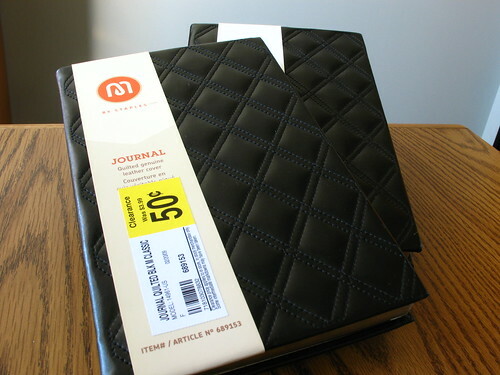 Second Prize: a pair of leather-covered "M" journals from Staples. A5 size, lined paper with a classy gilt edge. Pay no attention to the Clearance stickers on the paper band. These would make really nice gifts, which is what I thought when I bought them, and then realized that all my gift-receiving people are heathens and slobs who don't deserve nice things. But you do. 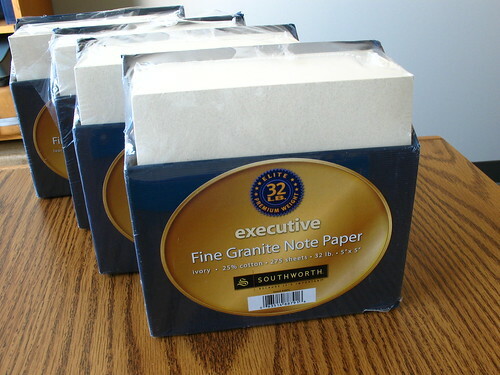 Consolation Prize: four boxes of Southworth "Fine Granite Note Paper" in ivory, each piece is 5"x5", and there are 275 sheets per box, so, um, a lot of note paper. You will never want for note paper again. Ever. Yes, that's right. I like the Clearance racks. But now you can too. Just leave a single, non-spam comment below and you'll be entered for the drawing, to happen as soon as I feel like there's enough comments to make it worthwhile or I get tired of looking at all this stuff on my desk. I will announce the drawing before it takes place, and will contact winners by email. Please make sure I can do this through your comment. I will pick a bunch of winners, and the first one I can get in touch with gets the webbie, then the second gets the pair of journals, the third gets the mini notebooks, and the fourth gets a big honking box full of notepaper. You will need to pass your mailing address to me in private if you win, so please be prepared for this. I will ship reasonably, but cheaply, especially if you live somewhere really expensive to get to, like Mars. OK, you made it to the bottom. Go forth and comment! Summer is nearly over here -- the big red First Day of School appeared when we flipped the calendar -- and that means my summer revision-reading frenzy is about complete. 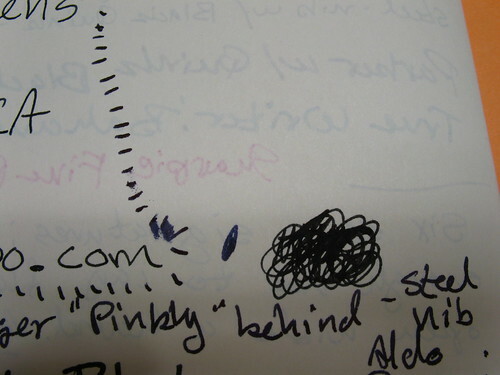 Only three short months until NaNoWriMo 2010 kicks in, so two months until I start my pre-planning rituals. With all that in mind, I was looking for a big sendoff to see me through that last two-fifths of last year's draft: some wisdom that would let me put it to bed for a while and clear my head of the old to make way for the new. I've limited these reviews to the (mostly) worthwhile titles: there have been a couple of stinkers in the bunch, including one that name-checked President Carter and took a few friendly (?) jabs at the women's movement. I've been shooting for a mostly-wheat/low-chaff ratio here, and hope they've been informative to you. I've certainly learned a lot from reading all these books, especially in how little I actually know when I slip on that "Editor" hat. Few books have thrown that knowledge gap into such sharp relief as this one. Despite its small size, this is a hefty book, at 336 pages of text and chapter reviews. It would be very suitable as a textbook, if only because I feel like I got schooled by reading it (as the hep kids say.) Lyon pulls no punches in laying out the components of a successful work, and as I read through the chapters and examples, I'm very aware of how far my own draft has to go. It's not a dense book, and certainly not a hard read, but more than the others I've gone through this summer, it's one that has made me slow down and pay attention. (I skimmed that Carter-era book in around three days.) In fact, I've been reading it so slowly that I had to renew it, just because I want to sit down and take some notes. Heavy schooling indeed. She's divided the book into four parts: style, structure and pacing, characterization, and marketing. I only gave the last part a pass and a light read, but it's also the smallest portion of the book (Lyon has another book dedicated to this specific topic.) And to tell you the truth, I was pretty dispirited by the time I got there. Sell the book? With the shape it's in, I'll be lucky if I can get anyone to read the book. Clearly, some major reconstruction work is ahead. But it's not all gloom and despair. I learned that my novel could be classified as picaresque, which is a wonderful four-dollar word to whip out the next time I'm invited to a snooty wine-and-cheese mixer. Ah yes, my previous novel was a picaresque comedic fantasy, you know. Sounds nice, even with a mouthful of cheese. I recommend Manuscript Makeover if you're strong of stomach and willing to hold your own work up to a very clear, high-definition mirror. And if not, might I recommend a little wine first?